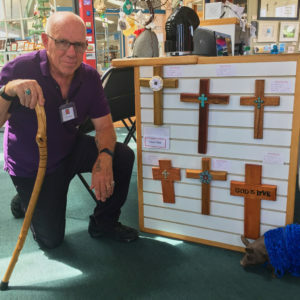 Chuck Abbe creates beautiful hand made crosses. He uses wood, paints, stains using both modern & classical techniques! Chuck’s crosses can bring a reminder of peace and divinity to any space!